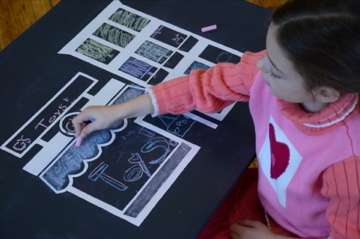 Chalkboard imagination time! 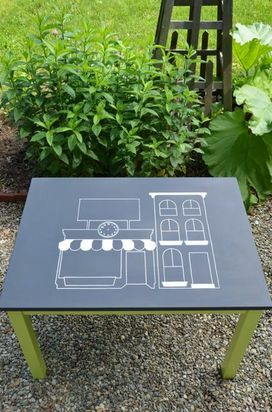 A painted template on a chalkboard tabletop inspires children to create their own imaginative stories on a city market scene. What's happening on the street today? 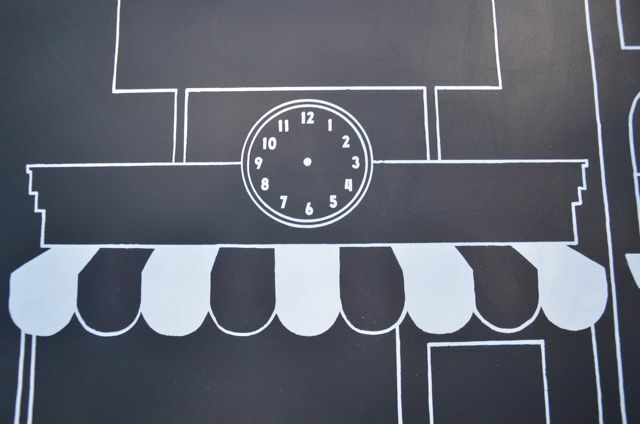 What's for sale at the market? Who's at home in the apartment building? An entertaining activity for children to engage in on their own; also a wonderful way for parents and children to create and play together. 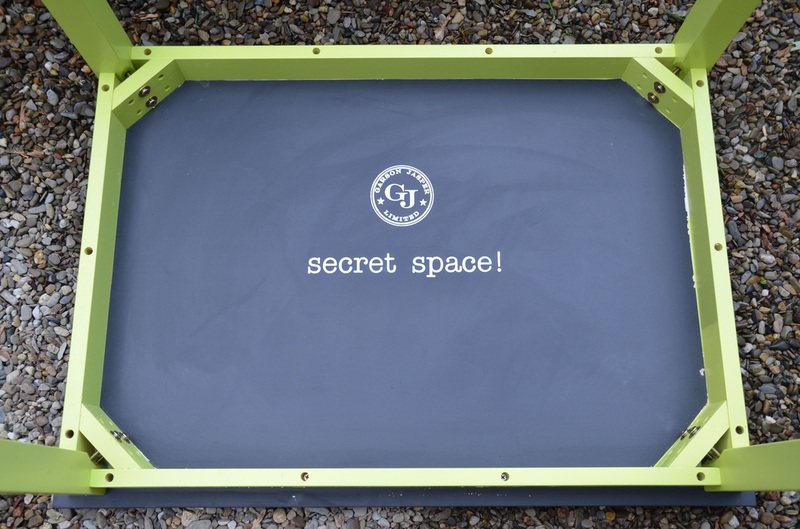 And check out the"secret space" on the underside of the table, where kids can write secret messages! Let the artistry and fun begin! Coordinates well with "Zoomy Zoom Zoom!" Slipcover. Coordinates well with "Apples for Teddy" and "Fishy Fishy" Slipcovers. Coordinates well with "Fishy Fishy" Slipcover. 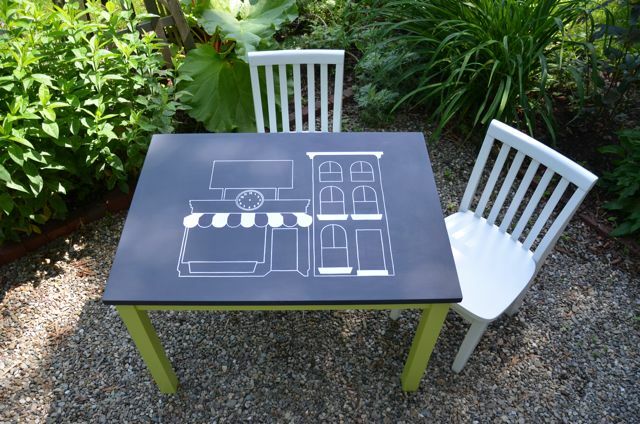 Match your table to a specific color in your home, or coordinate it with a theme or upcoming event. Send us your color by entering your paint specifications including paint manufacturer, paint color name, and paint color number into the "Enter Custom Color" text box to the right. Please note all custom color orders are non-refundable. Questions? Contact Jen.